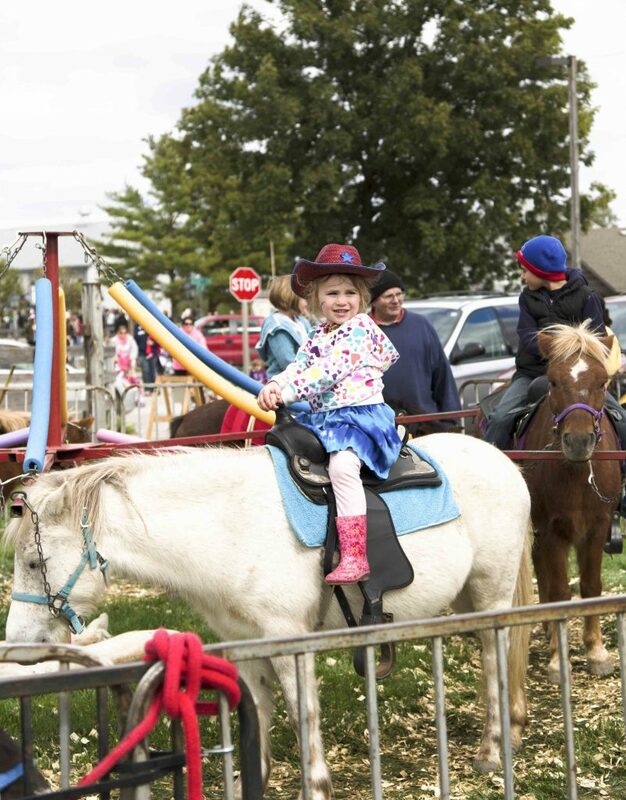 Are you looking for some family fun in the Amana Colonies? Here are some things that you can do. The village of Amana has quite a few shops and some have food samples like the Chocolate Haus or the Amana Meat Shop others show you how their products are made, such as furniture being handcrafted at the Amana Furniture Shop and at Schanz Furniture (South Amana) or blankets being woven at the Amana Woolen Mill. At the Broom and Basket Shop in West Amana, the kids can see baskets being woven or brooms being made. If you’re looking for some hands-on activities The Noble Stone has a few things that the kids will love to do. They have a pebble pit that the little ones can dig into and find a fossil or special type of rock. Inside the shop, there is a mining sluice. Purchase a bag of sand and then begin the mining. Each bag contains a variety of fossils, arrowheads, specialty rocks and more. The kids will love being miners. From late April to mid-December the Old Creamery Theatre presents plays for young audiences. You’ll need to check the website for times and the specific play when you’re visiting. This is a professional theater company and their productions are outstanding. In High Amana, the Arts Guild offers art classes throughout the year. With a little pre-planning, it’s possible to take an art class and in the next village over, West Amana you’ll find the largest walnut rocker in the state of Iowa . Do your kids like nature? If so bring your bikes and ride the Amana Colonies Bike Trail. It’s a flat ride that is about 3 miles in length. Circling the Lily Lake, you’ll see a variety of birds, turtles, and other wildlife. It’s different in each season of the year but if you look closely you’ll always see something interesting. The trail can also be walked which gives you more time to see the wildlife. Walking Stick Adventures can arrange guided tours of the lake or other hikes in the area. They will explain what the kids are seeing. The Amana Colonies Nature Trail, near Homestead, is a 3.2-mile walk through a hardwood timber. It winds through the forest from near the intersection of Highways 6 and 151 to a bluff overlooking the Iowa River. Just below the bluff sits an ancient fish weir that Native Americans once used to catch fish. Due to the recent floods and changing of the river the fish weir is covered with silt and vegetation and is no longer visible. Long before the Amana Colonies were here Native Americans lived along the river. The Nature Trail passes by Indian burial mounds and a variety of wildflowers (in season). When winter arrives this trail is wonderful for cross country skiing or snowshoeing. The Iowa River offers yet another adventure. Bring your canoe or kayak and put in near South Amana. Paddle the twisting river and hop out on the sand bar for a rest or maybe a little fishing along the way. This trip is strikingly beautiful in the fall of the year as the leaves turn. The Amana Colonies Golf Club is open to the public and winds through the timber north of Middle Amana. A beautiful course, it can be challenging but the key is to select the right tee for your ability. Before your tee time step up to the driving range to loosen up and catch the great view of the valley below. Are you up to a challenge? The Amana Colonies Gravel Bike Route goes past the golf course and through the timber on the county’s gravel road. It connects Middle Amana to two other villages. There is a flat section from Middle Amana to High Amana but the route from High Amana to West Amana has some elevation changes. It will certainly test you and is not recommended for the young one but the teens will get a good workout. After dark, you’ll notice how peaceful the Colonies become. Sit back and count the stars. Can you spot the Big Dipper or maybe Orion’s belt? You’ll hear the crickets and maybe even catch a few fireflies. This is rural Iowa at its best.